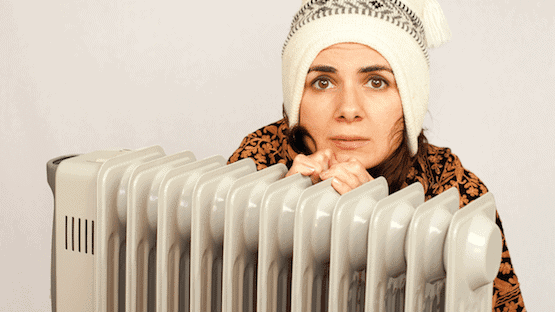 Keep in mind that multiple space heaters could become less efficient and more expensive than running the central heat. It’s a matter of experimentation and careful tracking. Just as I received your letter, I was in the throes of figuring this out for my own situation here in Colorado, as we were facing our first winter and the matter of heating the house. During the winter months, we program the house thermostat to 60 F. for weekdays. Then we rely on our whole room space heater in the office, which operates with a timer to come on in time to make the office warm and comfortable at about 68 F. That finished, insulated office is about 300 sq. ft., and this one heater does a remarkable job of keeping the temperature even throughout the entire space making the office perfectly comfortable. In the evenings, the house thermostat is programmed to 68 F., which we find comfortable in this dry climate. At night the house thermostat goes down to 55 F. and we set the space heater in the bedroom to 65 F.
Not all space heaters are alike. And I’ll admit that there are some things about space heaters that I really do not enjoy. Finding the right heater took some research. And we nailed it. Seriously, we are so happy with the Bionaire Silent Whole Room Heater that we now have three of them. Something else—Bionaire is quiet and remarkably so! I find it annoying and disruptive to hear a heater fan cycle on and off, so this one feature may be the biggest reason I love this Bionaire. Bionaire is micathermic, which means the heating element is covered in thin sheets of mica. The manual states that it produces both convection heat and radiant heat. It’s on wheels and quite lightweight, which makes it easily portable. And it’s designed to not tip over. It doesn’t get hot to the touch, making it safe for pets or children. The Bionaire creates immediate warmth—a nice gentle kind of heat, not a blast of hot air. And it is a constant source of warmth—not a constant warming up to hot then shutting off until it gets cold again. All of these features make a Bionaire Silent Whole Room Heater (which looks remarkably like a modern version of an old radiator heater like the one you see in the picture above) an ideal heater for any space from a guest room to a playroom but most of all, a very busy office. We recouped the $125 purchase price of our first Bionaire during the first month of use. 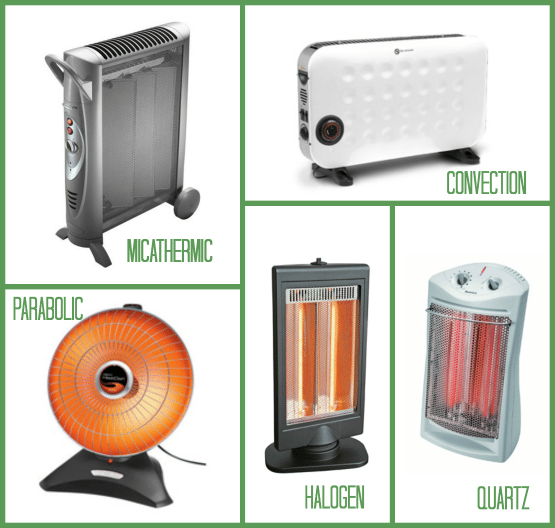 As much as I prefer the Bionaire micathermic room heater for our current needs, I would be remiss if I did not mention other types of space heaters for you to consider—each having its own characteristics. The general way that a convection heater works is that it relies on the circulation of air within the room to heat the room. The fan blows air over a heating element and then it is re-circulated into the room. Convection heaters push hot air up to the ceiling that results in energy loss. Still a viable option, our pick for the best inexpensive convection space heater is the Mill Convection Heater at under $50. The best inexpensive parabolic heater, Presto HeatDish Parabolic Electric Heater, under $100, uses a computer-designed parabolic reflector to focus heat like a satellite dish concentrates TV signals. That makes it feel three times warmer than 1,500-watt heaters, yet uses a third less energy. Because it warms you directly, you feel the heat almost instantly without it first having to heat the entire room. Operates using energy-efficient halogen lamps. They provide radiant heat, which means that they heat up the objects that are around them but not the air. Does not operate with a fan, which should be good news for people who suffer from dust allergies. A good choice for a halogen heater is the Comfort Zone Flat Panel Halogen Heater, in the $50 range. Produces infrared which heats objects, not the air. Holmes Quartz Tower Heater, a bit pricey at about $140, has an auto safety shut-off and tip-over protection to help prevent accidents. The quartz element glows red making the front grill very hot and hazardous for young children and pets. Operates with a fan that cycles on and off.